I get these a couple times a week but wanted to share this as they had actual level to report from these random item home remedy desperation attempts . The person was using meth at 4-6 grams a month . They originally tried a detox SHAMPOO from the head shop , which i can tell you now will do nothing for meth folks . so results came back at over 6000 pg /mg WOW ! Now comes the desperation and typical surfing the WEB for advise from all the NOT SO EDUCATED legion of people who think putting out this dangerous info is in anyway helping people. I stopped using Meth at the beginning of December for over 2 weeks but started back using for a week before test that i had at the end of December. 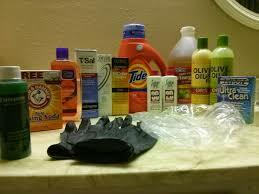 Also home remedy treatments with tide and facial cleanse , then dying hair etc and then more hair detox from shop. I even poured Straight Bleach on my head and Cried for 10 minutes while it set my scalp on fire. Also did the salon bleach treatment then dyed hair and Restripped hair again with another bleach kit and washed once More with Detox shampoo after. Then I went for My test at the end of December, This was All So Rough on my head that it left blisters n sores on my scalp! After All this trouble I went in for a personal test and still failed with levels of Meth at 1,000 for a 3 month hair test! all this probably costing easy over 200 all to blister your head? 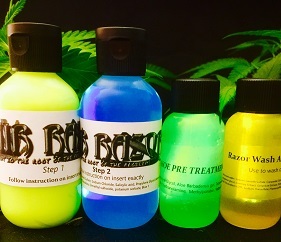 when a 6 g a month use would be a easy , single set of hair razor at 80.00 and 12 hours of pain free time. Still think unknown know it all on the web are who you should be listening to ?